We assist individuals and businesses with creating a solid financial foundation. Having a solid financial foundation is vital to financial success. Need assistance? We are here to assist you. We take our services and clients seriously. 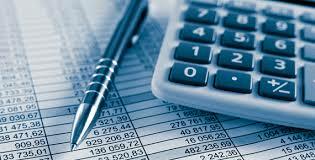 The Bookkeepers MD offers fixed price packages. Our customized packages are catered to your business' current position and future goals. The Bookkeepers MD offers fixed rate tax services to give our clients a "piece of mind". You never have to worry about a surprise bill at the end of your appointment(s). Payroll processing can be an energy consuming and daunting task for busy business owners. By selecting one of our affordable payroll processing packages, you will no longer have to worry about employee payments, contractor payments, tax filings, and much more. Allow our payroll specialists assist you TODAY! Need financial guidance or a financial restart? Enroll in our financial health coaching program. Areas covered include: Credit, Budgeting, Retirement Planning, Savings, and much more. These services are provided in partnership with Edufusion Institute Inc's Financial Literacy program. Call us today for more information. Are you a new business owner or would like up to date accounting software training? We have the class for you. We currently offer one-on-one and group training. Call (240) 716-9536 ext., 1 to register.